TMJ injuries after a car accident is something I’ve seen many times as a Los Angeles personal injury attorney in practice over the last 20 years. TMJ (Temporomandibular joint dysfunction) is a potentially debilitating condition that may be caused by multiple things including trauma to the face from an automobile accident that results in facial fractures. The condition may result in chronic pain in the face, jaw, neck and shoulders. People who suffer from it may also have chronic headaches and earaches, and they may suffer from hearing loss. It is important for people to find out if they have TMJ when they experience the symptoms of it. Failing to properly treat the disorder may lead to additional long-term problems. When people suffer from TMJ in accidents that were caused by others, an experienced Los Angeles personal injury attorney may help them recover damages to pay for the losses associated with the condition. TMJ involves an injury to the temporomandibular joints, which are located where the jaw is attached to the skull. 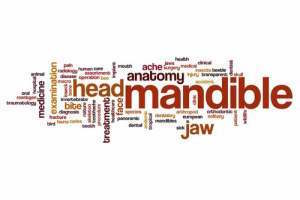 These joints are located on both sides of the head and are necessary to help people to talk, chew and yawn. When people suffer injuries to these joints, it can impact their entire faces because the joints work together with the muscles and ligaments. This may lead to chronic facial pain, joint pain, earaches and headaches. While the pain may be temporary in some people, it can last for years in others. How can Trauma From an Auto Accident Cause TMJ? One of the most common causes of TMJ is a motor vehicle accident. TMJ often results from whiplash injuries in rear-end collisions. When a vehicle is struck from the rear, the force of the collision may cause an occupant’s head to fling forward and then violently backward as the forces subside. When this happens, the forces may push the jaw open and cause added pressure to the joints on either side of the jaw. This extra pressure may cause TMJ in addition to whiplash injuries. Some people may also suffer from TMJ when they strike their jaws on the dashboard or steering wheel in accidents, and airbag deployment may also cause the type of force that can result in TMJ injuries in automobile accidents. What Types of Symptoms are Common Signs of TMJ? Following an automotive accident, some people may not initially notice the symptoms of TMJ. It is possible that the pain that they experience in their necks and shoulders may be attributed to the whiplash, leaving people unaware that they also suffered TMJ injuries until after their whiplash injuries begin to subside. If people are diagnosed with whiplash, they should ask their doctors to also check to see if they suffered from TMJ in their accidents. TMJ can be diagnosed by medical doctors and dentists. Ear, nose and throat specialists may also need to be consulted in order to confirm the diagnoses of TMJ. Many people start by seeing their dentists because of their jaw pain. The dentists may check for limited ranges of motion, joint pain and misalignment. They may also refer their patients to their physicians for further testing. Tests that may be performed include MRIs, x-rays, physical examinations and others. There are a variety of different treatments that doctors may recommend depending on the severity of the injury. People may undergo transcutaneous electrical nerve stimulation, the use of mouthguards, orthodontic work, massages of the jaw and face, applications of heat and ice and stress management techniques. They may also be prescribed non-steroidal anti-inflammatory medications. Surgery may be recommended as a last resort when other treatments have been ineffective. If you are suffering from the symptoms of TMJ or have already been diagnosed with it after being involved in a motor vehicle accident, it is important for you to get legal help. Insurance companies may try to dispute that the disorder was caused by the accident in an effort to avoid paying you damages for your associated losses. An experienced Los Angeles personal injury attorney may be able to use your medical records in order to prove that your TMJ was caused by the accident so that you may recover the damages to which you should be entitled to pay for your losses. Contact an attorney today to schedule your consultation.